Finding investors and raising capital for your startup can be tricky. But who says you need investors in the first place? It’s tempting to seek financial help, but in most cases, bootstrapping is a viable option that puts you in full control of your business. Most startup entrepreneurs dream of getting a nice chunk of cash from an angel investor or accelerator. It makes sense. A lot of successful startup stories revolve around investors. And when the average entrepreneur starts a company, he or she is might think that financial help is critical. However, investors don't come free. You give up some control in the process, and sometimes that can create conflict if what you want and what the investors want doesn’t match up. Make no mistake: landing an angel investor can bring a lot of benefits to the table. But you should definitely consider bootstrapping before thinking about using other people’s money. Curious? Here’s how to successfully bootstrap your startup. Even if you haven’t heard the term bootstrapping, you’ve probably seen it before. Bootstrapping is when a startup launches without any outside funding. So how do you raise money when you bootstrap? When a startup takes this route, the founder or co-founders will typically use their personal funds to finance the business. 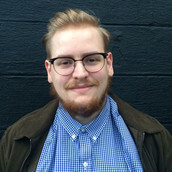 Depending on who you ask, there are alternative ways to bootstrap. For example, some people consider taking money from friends and family to be bootstrapping while others disagree. 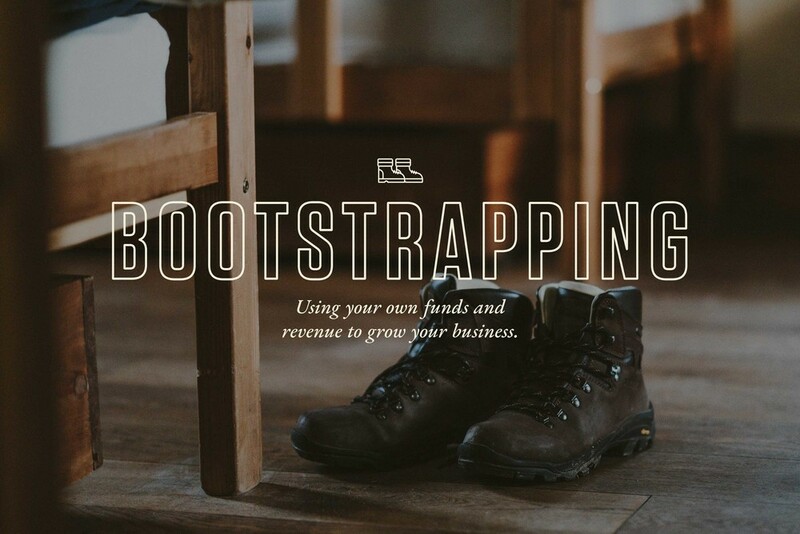 Ultimately, bootstrapping means using your own funds and revenue to grow your business. Bootstrapping a startup sounds intimidating, but there are a ton of benefits. First, there’s little to no debt incurred by bootstrapping your startup. You don’t have any loans to pay off and you don’t owe anyone. Second—and this is a big one for many entrepreneurs—you maintain full control over the direction of your startup. There are no investors or shareholders to put pressure on you or force your startup to do something you don’t want it to do. You don’t have to make any compromises to get your startup funded. That control might not seem like a big deal right now but think about the long-term consequences. What if your startup takes on a new direction you disagree with? In some extreme cases, shareholders have even fired founders and co-founders. Meanwhile, bootstrapped businesses get to dictate where the startup goes and how it conducts its business. Finally, bootstrapping a startup teaches you invaluable lessons about business (and life in general). Bootstrapping forces you to make sure you’re always ahead of the game. You learn how to be more cost-effective, how to negotiate, and how to succeed without many resources. Even if you take on external funding at some point, you can always use the lessons you learned from bootstrapping. Bootstrapping is a great alternative that puts you behind the steering wheel. At the very least, you ought to consider bootstrapping before you rush out to try to get venture capital or land an angel investor. Interested in bootstrapping? 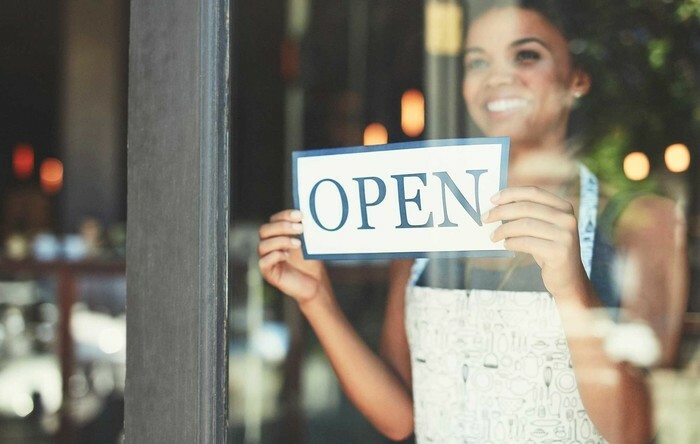 Check out these 4 tips on bootstrapping your startup. If you want to bootstrap your startup, you’ll need to be prepared. Bootstrapping is not something you want to rush into. 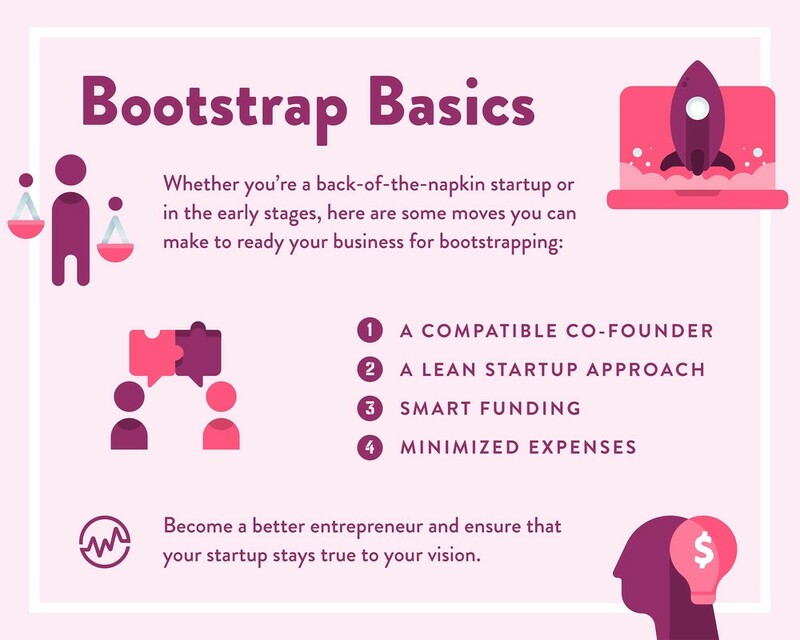 Whether you’re a back-of-the-napkin startup or in the early stages, here are some moves you can make to ready your business for bootstrapping. While bootstrapping can work for solopreneurs, it works even better if you’ve got a great co-founder on board. Having two or more startup founders can increase the amount of available funding, help spread out the workload and provides multiple perspectives so you can avoid tunnel vision. It can also provide your startup with a range of skill sets. If you find a co-founder who’s an expert at coding, you won’t need to outsource that cost. Finding co-founders with complementary skills is a great thing for any startup regardless of size, finances, or niche. That said, finding a good co-founder is easier said than done. Make sure you’re diligent in finding an amazing co-founder who can help your business succeed. Maybe you’ve heard the phrase “lean startup” before. The term became popular with the publication of “Lean Startup” by Eric Ries, and it’s one of the most pervasive ideas in startup culture. The basic idea is to move quickly, get a product out in the world as soon as possible, and respond to consumer needs with dynamic changes. There are a few important tenets to the lean startup method. First, you need a minimum viable product or MVP. This isn’t a finished product—it’s a product that has enough features to satisfy early customers. Once the product is live, you can measure data and learn from it to improve your product and make customers happier. This business model is popular among bootstrapped businesses because its process goes hand-in-hand with the nature of bootstrapping. It requires minimal financing and requires you to move quickly, two things that are inherent to bootstrapped startups. Bootstrapping your startup doesn’t mean dumping your life savings into your ideas. That’s too risky. If your big ideas don’t work in the real world, that money will go down the drain. Instead, discuss finances with your co-founders and possibly a financial advisor. Don’t spend more than you can afford to spend, but don’t skimp out either. If you’re bootstrapping your startup, you’ll need to be ready to make significant financial contributions. Just don’t go overboard. Avoid credit card debt if you can, and don’t mistake wants for expenses. Hint: a $300 TV is not a business expense. You can also search for grants. There are many startup grants that can lighten your financial load. You might even qualify for several grants. They won’t cover everything—but when you’re bootstrapping, every little bit helps. Thanks to the countless startups that came before you, you can study what others have done to cut costs. Need office space? Rent out a co-working space to reduce overhead. Can’t develop a good marketing strategy? Outsource it to a freelancer. However, you’ll probably need to think outside the box a little if you really want to keep expenses to a minimum. You could take on a side gig as a freelance designer or editor to raise extra money for your startup. You might buy an older used laptop instead of splurging for that top-of-the-line MacBook. The bottom line: do what you can to spend as little as you can. Starting a business doesn’t have to mean giving up shares or pitching to 45 VC investors just to hear “no” 45 times. Bootstrapping gives you the financial and creative freedom to take your startup where you want it to go. Even if you don’t want to bootstrap your startup forever, it’s a smart way to start. When you bootstrap your startup, you gain an invaluable skill set and learn to deal with the ups and downs of running a business. In the process, you’ll become a better entrepreneur, and you’ll ensure that your startup stays true to your vision.